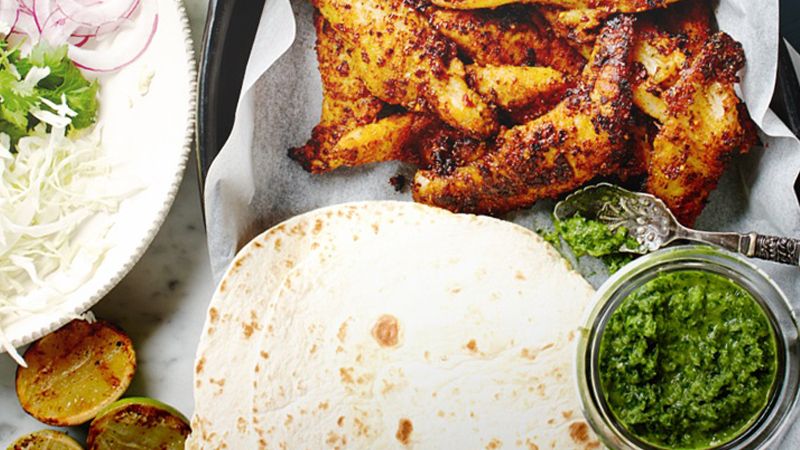 This blackened fish Fajita recipe from Old El Paso™ is delicious and makes 6 using our Fajita Spice Mix and Tortillas. You’ll love them for any lunch or dinner occasion! It’s all about bringing the flavours of Mexico to your kitchen. Combine oil and Fajita Spice Mix in a bowl. Add fish and toss to coat. Preheat barbecue and cook fish for 3 minutes either side or until charred & cooked through. Remove from barbecue, cover and set aside to keep warm. Brown limes on barbecue, cut side down. To create a deliciously fresh Salsa Verde, blend onion, jalapeno chili, lime juice (extra) coriander (leaves and stems) and olive oil in a small food processor or with a stick blender. Combine sour cream, smoked paprika and cayenne pepper in a small bowl. Serve blackened fish, charred limes and tortillas, cabbage, red onion and cucumber on a platter with Salsa Verde and seasoned sour cream. 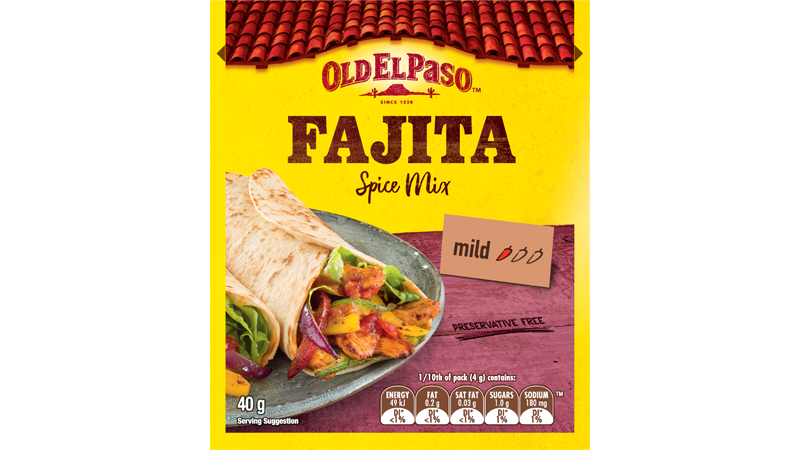 Fill your fajita with these delicious fillings any way you like!